Our Dogs This page links all show or titled dogs owned or bred by Oakwood and are arranged from most recent at the top back to 2002 at the bottom. 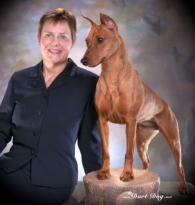 Most dogs appearing on these pages reside with loving and devoted owners who share their love of the breed with me. Click their names to view their individual pages.